It looks us so long time because we wanted to make an absolutely magical page builder for Joomla ever created. This project wasn't about incremental improvements, it was about reinventing Quix, reinventing ourselves and learning so many things that would change the game of user experience. Well the wait is over, more than a year of planning and eight month of active development, I'm super excited to release Quix 2.0. It's complete FREE visual page builder for Joomla! Today we are releasing Free version of Quix 2.0. The Pro version of Quix 2.0 is yet to come. An installer is the starting for any software, we have tried to give our best. The new installer comes with rollback support. If your site breaks or you face any sort of trouble to your site, Quix will be roll backed to its previous version. Everything will be changed to its previous version so that you suffer no loss or any kind of trouble. Today we are releasing Free version of Quix 2.0. The Pro version is yet to come. Quix installation procedure will now check for minimum requirements before installing. If your system meets the minimum requirement installation process will move further else you need to alter the system to meet the requirement. If you still cannot manage to meet the minimum system requirement or face any trouble knock at our support. Our support team is always ready to serve you. You can install Quix in two ways directly or through a installer. Our recommendation is you install Quix by using the installer. With the speed of the technology, we are growing super fast. And we can prove that. Now Joomla drag and drop page builder Quix 2.0 has Live Frontend Editor which enables you to see everything live. In the editing mode, you'll see every editing changes instantly. This is a plus point as you don't have to go for the preview button over and over again. You can see the changes right away. This will help you to set everything perfectly and bring any changes instantly. Drag & drop option is always easy to use. Just moving the element from one place to another by dragging. However, it becomes hard in case of huge content. Sometimes we fail to see where the content is dropped. Drag & drop option was always available in Quix. However, now it has changed a bit. Now when you go to drag & drop content, you will see an icon. Click and hold the "Move" option and drag the icon to its destination and drop it. Your content will be moved without losing any data. The new toolbar settings will allow you to decorate the pages. Including new page create, jumping to different pages, add pages to the menu, change page settings etc. Besides, there are other options too. Redo, undo, save, whole page preview button all are available in your new toolbar settings. Right after creating a new page you go for appending the page to menu. If you are a developer, then you know, how hard it is to do with codes. Sometimes we get tangled between the pages and make a bizarre. However, now with Quix, you can do it very smoothly and trouble free. All you need to do is- go to the Toolbar Settings and click Link Page To Menu. A pop-up box will appear with some settings. Just set the Menu Title, set the tab name, select the menu and add root parent. You are done here. The columns are much more flexible than before. Now you can select the number of columns, add a new one, delete the specific one and custom each column separately and differently. You can resize the column just by dragging the edges. Or, you can go to the mini-toolbox settings options of the column and set the column size by the slider. You can set the column size separately for desktop, tablet and mobile phones. Some user get confused while building a new site. How many columns should be given, how the size and shape will be, how to manage a new column etc. We care for every user. So we made premade columns. Once you add a section to the page, you'll be shown 11 premade columns. From them, you can choose the one you need. After completing the entire page, you might feel like the need of a few more columns. What will you do? No, you don't have to go for all the double troubles again. Check the mini-toolbox on the left of the column. You'll find "Add column" button. Just click it, and a new column will appear on the left of the selected column. Duplicate means to create a clone. If you create a very beautiful decorative column and wanna do the same with other columns, then this feature will be the right choice. All you need to do is, click the duplicate option from the mini tool-box. The clone of the required column will appear right next to it. Though the premade columns are set to default values, you can resize them in width just by dragging the edges. The columns are built on percentages. This allows to resize them smoothly and perfectly. Moreover, you can see the percentage of each column while resizing them. You can even resize them by the slider situated in the settings option of mini-toolbox. And this feature is enabled for desktop, tablet, and mobile phones. Nested column is where you can create new column inside an existing column. This feature allows you to create a sorted dynamic website. Select the number of columns right after adding a section. Then click on 'Add Element'. You'll see a button named column. Click it and select the number of new columns you want to insert. Bootstrap 4 worked like a blessing for us. Quix is embedded with bootstrap four which allows for five tires. To say clearly, it supports five types of display screen - extra large, large, medium, small, and extra small. This was very helpful for our responsiveness. Now Quix has more responsiveness. It fits to all types of display screen. Besides, you can set the responsiveness separately for desktop, tablet, and mobile. With the new version, template library has not only changed its look but also upgraded with new functionality. In the previous version saving any section or page was a little bit scattered. But now in the new version, we have put everything back in an organized way. Saving and loading of pages and section is now much more easier than ever before. All things are combined and kept in one place so that you use Quix 2.0 with more flexibility. In the new template library, we have separated into three tabs - Sections, Pages, and My Templates. Sections: For completing your design process faster, we have added premade sections in the library. You can watch the preview and then click on insert. Your selected section will be inserted instantly at your preferred area. Page: A page is a combination of multiple sections. In this section, we have given you niche specific ready-made pages. If you are in a hurry or running out of page design ideas, you can try this pages for your website. It will save your valuable time and give a premium and elegant look on your website. My Templates: This area is only yours. Your saved sections and pages will be saved at here. You can insert and use your sections and pages anytime at anywhere from my templates. At here you can see three tabs ALL, SECTION, and PAGE. Section contains only your saved sections, page contains only your saved pages, and All contains Pages and section together. From My templates, if you wish to import new template, you can do it by using Import Template button. If you have a lot of pages and sections, it might become hard to search for a specific one. Therefore we have kept a search option in the library. With this search option, you can find any file from the library instantly. Besides before inserting a file, you get preview option so that you can decide more easily and save your time. Media manager has changed its form. Now you can upload or just drag & drop image, video, gif, and SVG files. It's just that simple. You can even create a new file, rename it, change file location by drag & drop option. Media manager allows you to redecorate your site without creating an issue. Now the setting options are more organized and sorted. Every element has individual settings and together. Now you can edit section, column, element without any haphazard. Now section has its own setting option. Same goes for the row, column and element. Besides the whole page has a different option situated in the toolbar. Page setting is situated in the settings options of the toolbar. This setting will allow you to control some basic page settings. It has three tabs - general, design, and advanced. Inside these tabs, you will get the options to set the status, provide access to the user or other admin, set the default language, set a color for later reuse. Moreover, if you a developer, you can add CSS & JS code in the advanced one. Quix has all the settings in it. Before starting your work you have to go for section addition. Then you can go for other additions like columns, image, text etc to complete your project. And some of us love to decorate the background to give it a dynamic look. so, a mini-toolbar for section settings is present there. You can add solid color or gradient color or image, set the page height, set extra margin-padding, add shape divider to it etc. you'll find everything related to section right in the mini-toolbar. You can even duplicate the section to make a clone or move it to other destination. The columns have some default value. You can use it as it is. Or you can change the default settings from the mini-toolbox situated on the top-left side of the column. You can set the position of the column, change the background to a rocking color or give fusion of three colors by gradient, set a beautiful image or video. Column setting is provided separately for each column. So, you can decorate each and every column differently. Inside the section, columns are situated inside the row. We have provided separate settings for row too. On the top-centre, you will find a mini-toolbox of green color. This is the row setting toolbox. You can set the same background of every column by setting it in the row. Alternatively, you can make the column look like a pop-up. Copy paste is the oldest trend on the internet. The copy command duplicates the file and keeps in the clipboard. When the paste command is executed, the item on the clipboard is inserted. You will be able to copy paste any elements, row, columns and even sections with Quix. Just click the copy icon and paste it wherever you want. A copy can be done unlimited times. Don't worry about dragging option, for you; we have kept both options. For better designing, you need to have the good grip on the designing and styling. But what if there is not enough equipment to design. Sounds like a nightmare, right? That's why we improved Quix. With lots of new features and options, Quix is now all about creativity. We embedded new field types for our Quix users so that they can make their site without facing any problem. We want Quix to be the best Joomla page builder for you. So we added some super cool features. One of them is typography. Typography allows you to design the text with the option of 1200+ google fonts. You can change the font, size, style, line height, letter space. You can even decorate them by underlining or overlining etc. With all the readymade elements we have also kept a place for custom CSS so that you can bring the changes on your own terms. With this option, you will be able to add your custom code to any field you want. These codes will not conflict with other elements. Style your site with the color inside your mind. For providing you with the best Joomla Page builder, we have included 1000+ SVG icons directly into the media manager located locally. If you want you can upload and use your own icons, but we are taking the hard part. Your work is done quickly and easily that's all we want. Not only 1000+ icons, but we will also try to increase that number with every update. SVG stands for Scalable Vector Graphics, which is an XML based vector image format for 2D graphics with the facility of animation and interactivity. With SVG images you can create amazing things. The primary benefit of SVG is you can play with it, you can make it smaller, bigger or any size you want. You can put the color you prefer on it and customize the way you like. With Quix 2.0 you get the full functionality to use SVG editor, and you will be able to upload any SVG images to the media manager. To upgrade Quix, we need to improve the core codes. That is what we did. To improve Quix, we improved the core codes. Now Quix will operate much faster and smoother. All the functions we made will operate faster; there won't be any problem while setting up a plugin. Now you can work relentlessly, and there will be no hamper at all. Your site, your page builder so it is obvious to have freedom also. After adding an element some page builders doesn't allows you to move the settings modal to users preferred place. It stays sticky or fixed on a specific place and sometimes it might become a problem while you developing any section, as it hides and you cannot see the instant changes. Quix 2.0 comes with movable modal, so now you can move the settings modal anywhere you want. It will not be a distraction for you while you develop your website with Quix Joomla page builder. Though Quix is live frontend editing, still preview mode will be available for you. After completing the project, you can go to the preview page to see how the pages will appear to the viewer. To say straight forward, it will allow you to see the viewers point. The preview mode will automatically take refresh once you bring changes to the pages. You don't have to go for refresh button after re-editing. Portability will allow you export and import file. Now, why is that? For example, you've created a beautiful project, and you want to reuse it to another project with some modifications. If you go for making the project from the ground again, it will be a double trouble. Now, here is the situation when you need portability. By using export and import, you can reuse the designs and reduce the workload. This time, the portability is re-coded, and now it is much more improved. Now you won't lose the content while exporting or importing. Gradient effect is the combination of multiple colors. Nowadays gradient effect is high at a demand. Everyone loves the fusion of colors. It gives shady look and ravishing at the same time. Now Quix has this feature too. Now you can decorate your site with color fusions. You can decorate section background or row background or column background with this beautiful feature. You can use it instead of an image. Make your own design with it. Shape divider is one of the coolest feature that allows you to simply divide your rows and columns with the help of pre-designed responsive shape. Shape divider will transform your pages giving it a beautiful professional look. We are providing 20 of designs just for you and and we'll be adding more designs later. As the designs are SVG optimized, you'll get the finest of them. You can even edit them and set them just the way you want. Provided designs are responsive so you can adjust them just as they fit. With the new version of Quix, you can change the most of the default settings. One of those is the height of the section. You need not calculate the margin padding anymore. Directly from the section setting customize according to your own will. You can do this with two options - fit to screen, custom height. When you select fit to screen, it automatically detects your screen size and adapts the perfect section height automatically. Moreover, if you select the custom height option, you have the freedom to set the height of the section by yourself. There is slider available to alter the section height. Drag it to left or right to increase or decrease the section height. Wait a minute you are familiar with pixel value? Do not worry we have kept that option too. When you move the slider, you will see the pixel value for section height there. Use the way you feel comfortable. You can also change the height for row and column in the same way. When you alter the height, the result will be instantly updating. You do not need to wait or go for any preview button. All of us do not like to work in a messy place; instead we like to work in free space. It's also same for developing. When you try to make a section or page sometimes, it becomes tough to work in a small area of your display. Because space is occupied by sidebar or module that is placed on. When you activate the destruction free mode, all of your present module, footers, sidebars. etc will be hidden and your page sections will take that space. If your development is finished, you can disable the destructive free mode. After disabling this mode, everything will go normal again. All your modules, sidebar, footers, etc will become visible again. One of the most interesting features of Quix 2.0 is Disable mode. With this option, you can disable any element, columns and even sections at any moment you want. Now one question might arise in your mind "what is the necessity of Disable mode?" Assume you are doing development of a section on live site and it is not complete. Would you like to show this incomplete to your viewer? I know the answer definitely not. With this new setting, you will be able to hide that incomplete section until you complete it. You can also use this feature for different devices. A disabled section will not be visible until you make it visible. You will not be able to customize any disabled section, so make sure you enable it before editing. Quix 2.0 has got the all the necessary elements that are needed to build your website. Right after selecting the column number, a red circle with the name "Add elements" will appear. From this dialogue box, you can add any elements you want. In any post or in any text the first thing that catches the attraction of viewers is Heading. If the user does not find the header attractive, he leaves your site. So you can understand the importance of heading. Heading helps you to engage with the visitor. With the new version of Quix, you can make the header completely bold and attractive. Its typography and all other important settings let you do this. Nothing is complete without text. Details of anything can be described with the help of text element and text helps you get more traffic via SEO. If the text is not attractive user lose his interest to read further. We know the importance of text element for you; therefore we tried our best to make it better. We have given the advanced typography and power of google fonts with the text element. So you can ensure the flexible readability in your writings. An image talks of hundred words. One thing that needs 100 words can be easily described with a picture. It is a must-have element for any page builder. The explanation of a hard topic can directly hit through viewers mind faster with an image. With the help of Quix, you can insert an image directly into your page. You can upload an image or import it from an external link. Beside we have the all other customization settings that are necessary for customizing an image. To submit a form, you must use a button, without using the button it is not possible. A button not only links to other sites but also enables to store the data on the database. We customized and made the button more reliable. You can change the font, style size shape, etc as it comes with three different settings - Advanced, Styles and General. You got all the primary settings included in the general settings. Different styling options like typography, text color, background color, border and other settings are accessible from Style option. Quix is the best free Joomla Page builder and also best premium Joomla page builder same time. Now we are releasing the free version and soon we will release pro version with extra features and functionalities. Lets check out the differences between Quix free and pro from below. 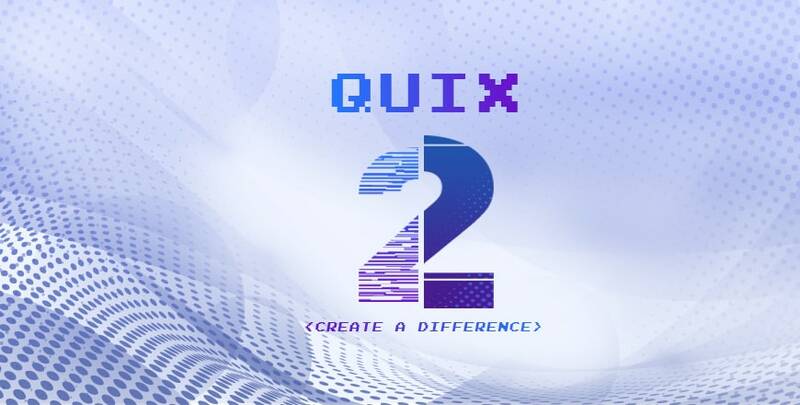 The first question which might arise on all existing users is What will happen to my current website after installing Quix 2.0, which is built with Quix 1.x? Nothing wrong will happen to your current site after installing Quix 2.0. All your previous pages will be accessible and modifiable with the classic builder. There will be absolutely no problem will occur with the classic builder. All the procedures of building a page will remain same as it used to be. However, if you want to create a new page, you must use Visual builder. All the new pages you create will be opened with the visual builder. Currently, we are sorry for not providing any kind of migrator, but we promise, soon we will bring something that will solve this problem. With everything new and more comprehensible we have also simplified the licensing system. We have brought some changes which is very much important for you to know. From now on there will be only two version of Quix - Free and Pro version. There will be no more Extended License for Quix and user will be able to distribute only Quix free version with the template. Distribution of Quix pro version is no more allowed with the new version of Quix. We have thought this for a very long time then we decided this. For keeping the development process faster and smoother, we need to generate revenue; therefore we came to this decision. But worry not, we have included almost all of the pro features of the previous version of Quix with the free version of Quix 2.0. Quix 2.0 is so much feature rich that you will feel the magic when you start building your page. With Quix 2.0 pro, you have the option to buy the license for 1 site, 5 site and unlimited sites. You can buy site license according to your own will, but you cannot distribute with the template. What Will Happen to Existing License Holders? After viewing the new licensing system, this is a common question "what will happen to existing license holders?" which might occur in your mind and asking for answers. Existing license holders are now grandfathers. They can still use their previous license and also can extend their license if they want. After their license validity expires, they will also have to face the new licensing policy. With today's update, Quix has been upgraded to version 2. This long bump comes with many surprises. This is the first update to use the new versioning system. Version X.0 (e.g. 2.0) - The whole version number changes, such as a version move to 2.0 to 3.0, will be reserved for massive product update. This types of update might come after a very long time. Version X.X (e.g. 2.1) - The first decimal version changes are reserved for moderate or small feature updates. This types of feature update can take place in every month. Version X.X.X (e.g. 2.1.1) - The second decimal version changes are reserved for immediate or critical bug fixes which are needed to be released between minor feature updates. When you see a third decimal update, it is a good idea to upgrade. This types of update might release every day or weeks. This new versioning system makes every version update more informative and gives you a better to determine what might have changed between the version. We are releasing Quix with its ultimate power for all users. Now it's ready to use. Everything is provided to make your website dynamic. All you need to do is install and get started. In our every releasing post we've shared the topics in details. But we rewrote it again in case you've missed anything. And still if you find any problem, let us know without any hesitation. We'll be right next to you. Upgrading Quix from 1.x to 2.0 is risky at this moment. It’s not fully tested. This is extremely important for us and we are rigorously testing it. For the sake of your site, we are not updating it to Quix 2.0 rather you can download latest version from 1.x series and enjoy! We'll post about our development roadmap shortly. But yes, they are on our list. waiting for 2.8.x !!! they realing alpha version... bua bua.. This is wired! Never had this problem on our test and development. Is there any other components or plugin installed on site ? Can we check? yes i've a test site, contact me in privat so i can send you an admin account.. Same here with 2.02 final installed. Uninstalling and installing again didn't solve the problem. From what I can see, one of the biggest drawbacks of Quix 2 at the moment is so few elements. Granted you can still work with your old pages in the "classic" mode, but all new pages are forced into the new system. Without all the elements available I can't see what the draw is to upgrade. I will stay on Quix 1 until Quix 2 is flushed out more. Yes, agree. In next few weeks, we'll fill the gap by releasing all elements missing out. I agree with Eric: no point of upgrading to Quix 2 as there are only 7 basics elements available. I hope the full collection of elements will comes very soon. Looks very cool, I am new to Quix and want to test it for my next website, but I don't know where to find Quix 2.0. (The demo tester seems to be Quix 1) Where do I find/get Quix 2.0? We'll update the page after a while. Stunning stuff - can you upload Joomla Modules ? how to solved this php warning problem in quix v2 ? how to solved php warning problem in quix v2 ? QUIX 2.0.5 like it is now is to bad to be a replacement of the previous version. It shouldn't be there as an upgrade. It's deceiving your customers and totally disappointing. Please, make it Alfa again, this Quix 2 is making more bad than good to your reputation. We don't need new fancy bad products in a record time. You don't need that to compete with Joomshaper. Take all the time needed to make it right and then release it. We love fast, efficient and useful tools and QUIX 1.x is in that category. We don't love fancy tools that are not fast and efficient. Quix don't need to evolve to a cheap imitation of Divi from Wordpress. Quix 1.x will be there with 2.0 until everyone is comfortable with 2.0. 1.x and 2.x are like Android and iOS. Both are completely different product and making one feature and maintaining it for both version is quite tedious process and nightmare for us. We've a big ambition for 2.0 and we are on a mission to make it absolutely best page builder for Joomla. It will take time and obviously we are not competing with SP Page builder or any page builder on market. I use a test environment with quickstart of the Biznes template , upgraded from version 1 without errors. This `c2.alias` issue is fixed and we are testing 2.0.6 release.